The Restaurant, surely of hotel vocation but with an important identity, offers Dinner Experience of quality in its huge rooms but furnished with taste and style of the 70s, renewed year by year in functionality and efficiency. Pretty summer terrace and elegant solutions dinners served in the garden and by the pool. Typical Cuisine of Abruzzo, with seasonal inland and sea product always fresh at the table. This is the secret of the success of the restaurant of the Grand Hotel Don Juan, always in balance between tradition and creativity. Recipes faithful to the simple taste of the territory, with a variety of materials ranging from fish to meat, with recipes and dishes that change every day thanks to the creativity of the chef Evasio Giuseppe Vitale, from Puglia, but the international experience. 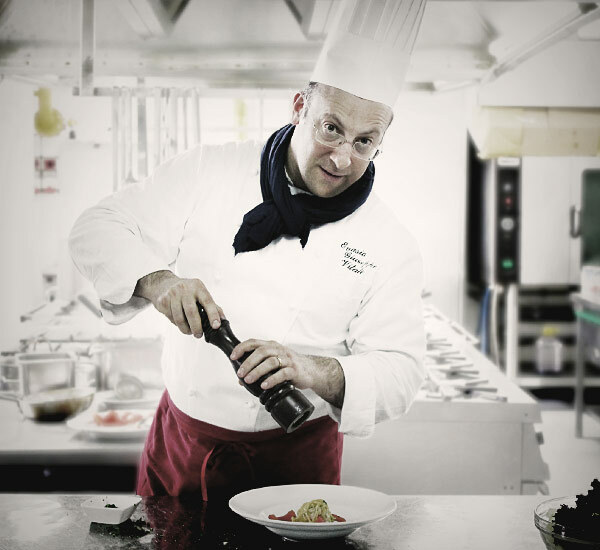 The chef Evasio Giuseppe Vitale brings a touch gourmand and the international cuisine of Abruzzo. Chef Evasio can enhance the essence of Abruzzo bringing it to the table with spectacular dishes, faithful to the tradition but revisited in the cooking method to make them even more appetizing. All washed down with the great wines of Abruzzo, the most renowned in the world. Looking for menu or dishes for vegetarian, vegan, natural, organic, gluten-free or intolerant? Extensive anthology of dishes from land and sea, is the same both for lunch and for dinner, but with grafts of daily different varieties and seasonality. Kitchen Brigade at work, for original and creative menu.. 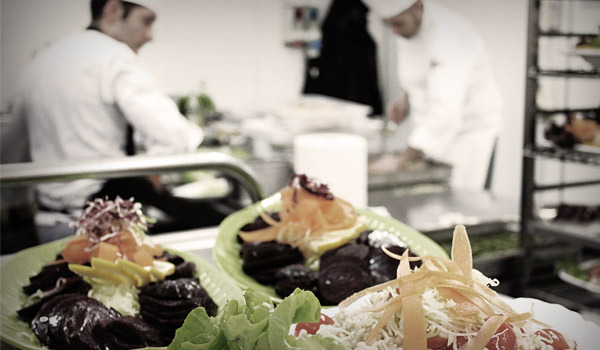 Frequent events and itineraries of taste, with costs starting from 29 € – drinks excluded. Follow us on the blog to not miss the tasting menu always new and original. The Grand Hotel Don Juan, with the maitre Corrado Federici, recommend the combinations more balanced and tasty, with the bubbles – from Krug and Laurient Perrier Brut to our Ferrari, Monte Rossa and Bianca Vigna. The Whites fragrant – especially the whites of the territory, Pecorino, Trebbiano, Passera delle Vigne, … but also Sauvignon, Traminer, Falanghina, Greco di Tufo and Fiano d’Avellino. The Reds intriguing, Montepulciano d’Abruzzo is the master. By offering varied menus and flexible service hours, the restaurant is also open to the outside. Call us at 085 8008341 and book your table.